As higher education is increasingly a subject of contentious debate, one way to explore the history of our own public university system is to visit the onine CUNY Digital History Archive . This online participatory archive and portal is a work-in-progress and we welcome your contributions. Focused on stories and material that document the struggle to build and sustain the democratic mission of the university and its colleges, this growing resource will inform and involve teachers, students and the general public. Visitors to the website can do keyword searches, browse all items (now over 300), or search by subject, date, or collection. This summer we completed "Free Speech at CCNY, 1931-1942," contributed and curated by former City College of New York faculty member Carol Smith. 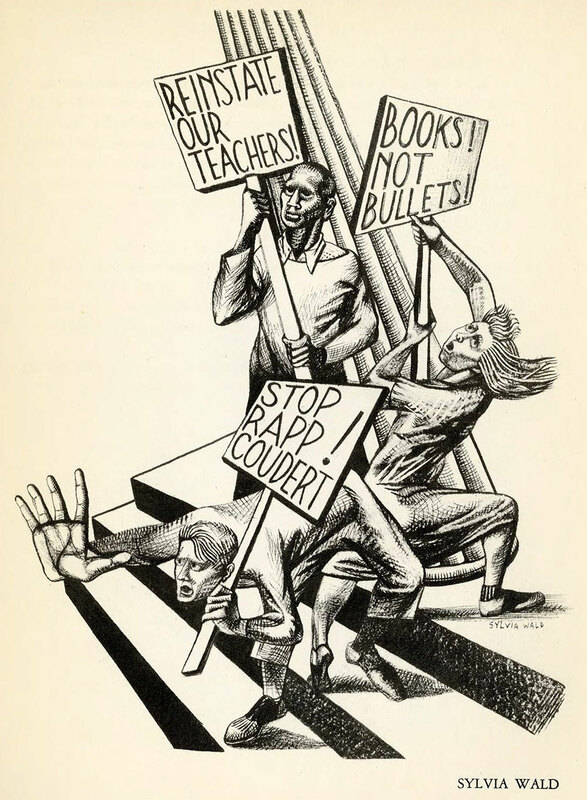 This collection contains images, articles, fliers, and more detailing the fight that CCNY faculty and students waged during the 1930s and early 1940s in opposition to the New York State legislative Rapp-Coudert Committee's attacks on left faculty and in support of their freedom of speech on campus.This and all collections contain an introductory essay plus an assortment of primary documents, many never before published. Also recently posted (with more to come) are items from the "Save Hostos!" collection, contributed by former Hostos Community College professor Gerald Meyer. Articles, documents, fliers, and images reveal the fierce community/college/ union battle that ultimately saved the college in the 1970s. Explore the Archive and get involved in building and disseminating these important materials!